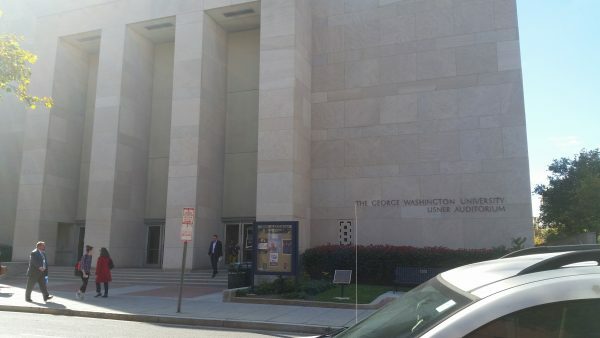 An urban university that also manages to maintain an insular campus atmosphere, the George Washington University is something unique. 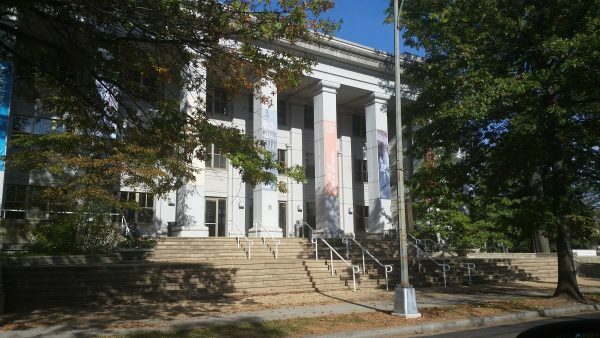 Its location in the heart of Washington, DC – just block s from the White House – is an asset that the university exploits to its fullest, whether through engineering students performing research on sea lions at the National Zoo, or through giving students access to key internships throughout one of the most powerful cities in the world. Founded by an act of Congress in 1821, and located in the Foggy Bottom neighborhood of the District, the George Washington University now owns the highest number of buildings in the area after the federal government. GW, as it is affectionately called, is a medium-sized institution composed of 11,000 undergraduate students spread out over the university’s seven academic schools, encompassing over 75 majors, including such diverse options as Africana Studies, Graphic Design, International Affairs, and Civil Engineering. The student-faculty ratio is 13:1, all courses are taught by professors, and the average class size is 28 students. University prerequisites depend upon one’s major, but all first-year students must take the University Writing course, which prepares them for university-level research and writing. 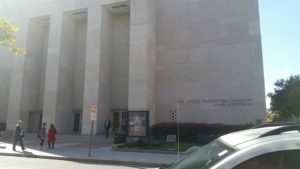 Though most of the campus activity takes place on the Foggy Bottom campus, there are some classes and residential facilities located at the smaller, quieter Mount Vernon campus, which is a 15-minute shuttle ride away. Shuttles run every five and fifteen minutes during school hours and outside school hours, respectively. Outside the classroom, GW boasts a rich student life, with more than 450 student organizations, the biggest two of which are not surprisingly the Campus Democrats and the Campus Republicans clubs. Students also participate in the 27 NCAA Division I athletic teams, club and intramural sports, and campus Greek life. The university’s motto, “Knowledge in Action,” underscores the three foundational aspects of a student’s GW experience: service, study abroad, and internships. Due to its location in DC, a city characterized by both immense wealth and great poverty, service is very important to the GW community; on the second Saturday of a student’s first year, the entire freshman class goes out into the city and volunteers in various local organizations. Last year alone, GW was responsible for over 600, 000 hours of community service. Over 40 percent of students partake in the second aspect of the GW experience: study abroad. Students across all academic disciplines are heavily encouraged to study in over 60 countries, whether it is for a summer, a semester, a year, or during GW’s alternative breaks, which are service learning trips during winter and spring breaks. Academic advisors work closely with students to ensure that they meet any graduation requirements in the process. The final aspect of the GW experience is one that seems to underpin the entire undergraduate experience: internships. As Washington, DC is home to the offices of many local, national, and international organizations, GW encourages and facilitates internships throughout the city so that students can build work experience and graduate with a good idea of what kind of work they wish to pursue. Approximately 90% of GW students will have completed at least one internship, with many students completing more than one. With tuition costs at around $52,000, GW relies on endowments to make itself affordable to its students. Students who apply for admission to GW do not need to submit extra applications for financial aid; along with their admissions letter, students are provided their aid package, including both need-based, which will be determined through the FAFSA, and merit-based, which will be determined based on the strength of the students high school performance. Another university strategy is to lock in rates upon freshman enrollment; the cost of tuition is locked in for the next five years and will not increase every year, as in many universities. Tuition rates will also not change while students are abroad, and their financial aid will travel with them. GW is a common app exclusive institution and applicants have the option of three rounds of admission: Early Decision I, Early Decision II, and Regular Decision. GW recently became the largest private institution to become test-optional, so students are not obligated to provide SAT or ACT scores. In fact, admissions officers say that, though doing well on standardized tests is something to be proud of, what the admissions team is really looking at closely is how rigorous a student’s high school coursework was, including AP and IB classes. GW’s alumni community is composed of political figures, actors and actresses, space explorers, Olympic gold medalists, Pulitzer Prize winners, U.S. Ambassadors, military personnel, award-winning journalists and authors and more including Jackie Onassis, Colin Powell and Alec Baldwin. Chartered by an act of Congress in 1893, American University (AU) sits in a green suburban neighborhood of Washington DC, a little removed from the hustle and bustle of the nation’s capital. A major research hub, the university’s faculty, network, and resources are put at the disposal of its almost 7,000 undergraduate students, who come from 129 countries and all 50 states. Situated a short shuttle ride from the closest metro station, AU offers a more visibly traditional campus feel than would be expected in such an urban setting. Most academic buildings surround the quad, with students chatting and studying in the sun, coffee in hand. Everything is within walking distance and students have access to various restaurants on campus, as well as several coffee shops, and a grocery store. Student housing is guaranteed for two years, often in doubles, with the occasional triple room. Each room is equipped with cable and a thermostat, and each residential floor hosts a communal lounge with a kitchen. The university is broken into seven academic colleges. At the undergraduate level these include the College of Arts and Sciences, the Kogod School of Business, the School of Communication, the School of International Service, and the School of Public Affairs. Although students apply to the university as a whole, they are placed in a particular school upon admission, the largest of which is the College of Arts and Sciences. The curriculum includes several general requirements, including two semesters of college-level writing and one level of college level math although AU does accept college credit earned in high school. The most popular major is International Relations closely followed by business and political science. In fact, the Kogod School of Business has its very own independent career center and an entrepreneurial lab. The latter is a resource for students interested in starting their own for-profit or non-profit businesses. The average class size is 23 students and the student: faculty ratio is 12: 1. American is unique in its various optional rigorous programs for students who wish to challenge themselves. These include the Honors Programs, which come with a hefty scholarship and opportunities to research with key experts from the start of freshman year. Another option is the Three-Year Scholars Programs, an accelerated opportunity that maintains the traditional university experiences as well as options of internships and study abroad. Both programs, which require additional applications, have individual deadlines and requirements. Students may also be invited to join one of the two selective living-learning communities. American University’s three foundational components are its distinguished faculty, engaged students, and the “Washington lab.” Faculty members are from all walks of life and careers, including former ambassadors and academic experts – 94 percent of whom have the highest degree in their field. AU students are actively engaged on campus, through over 200 clubs and organizations, and off campus, where AU students are collectively responsible for over 10,000 volunteer hours over the course over a weekend. In fact, the university is on the Presidential Honor Roll for Community Service for the fifth year in a row. The Washington lab, as admissions officer Tristin Kitts explained, is the commitment to using Washington DC as a learning laboratory and an extended classroom. This takes the form of exclusive internships at the White House, NBC, NPR, Homeland Security and research opportunities that begin as early as freshman year. Another benefit to AU is the fact that 89 percent of its students participate in internships during their college experience, with the average student completing between three and five such programs. Not surprisingly, within six months of graduation, 91 percent of AU graduates are working or in graduate school full-time, in their field. Another hallmark of AU is its study abroad program. With 135 locations available to students and with aid remaining unchanged while a student is away, almost 60 percent of AU students study abroad. Within certain majors, the number jumps to 80 percent. AU ranks among the most politically active school in the nation. A member of the Division I Patriot League, its sports teams compete as the American University Eagles. American University offers three rounds of applications: Early Decision I and II and Regular Decision. It accepts both the Common Application and the recently inaugurated Coalition Application, with no preference for either. 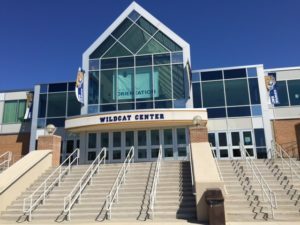 Within the application, students will also submit high school transcripts which, noted admissions officer Kitts, should show that they have challenged themselves throughout high school. Students will also submit a secondary school form, which provide some context on the student’s high school, an activity report, and optional supplemental essays, which the vast majority of students choose to submit. American University has been test-optional for seven years and will Superscore both SAT and ACT scores. AU prides itself on being a ‘need-aware’ university, meaning they will meet 100 percent of demonstrated financial need through grants, loans, and work-study. Although it offers both need- and merit-based aid, there are no extra documents needed in order to apply for merit awards. Merit-based aid is maintained for all four years, provided academic performance is maintained. Students enrolling at American University join the long list of notable alumni, including media personality Star Jones, president and COO of Goldman Sachs Gary Cohn, US Secretary of Health, Education, and Welfare Arthur S. Fleming, and co-chair of the Republican National Committee Patricia Harrison. The College of the Holy Cross is a private, undergraduate Roman Catholic liberal arts college founded in 1843 in Worcester, Massachusetts. The 174-acre suburban campus is lovely with its brick buildings and stately tree-lined streets. With an enrollment of approximately 2,900 undergraduates, Holy Cross provides a warm and comfortable small-school feel within a city that has a population of 185,000. 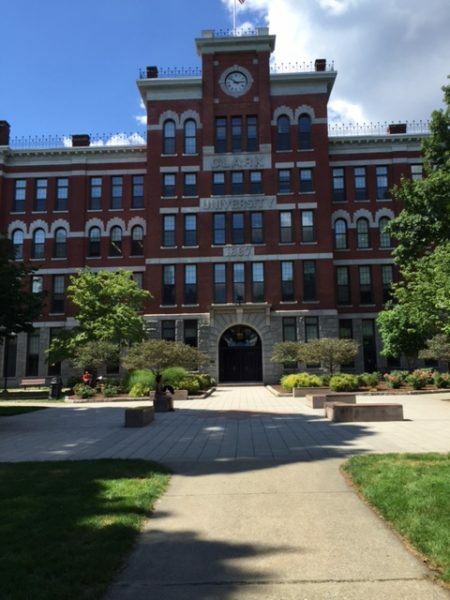 Holy Cross students can also take advantage of a consortium of a dozen schools including Clark University and Worcester Polytechnic Institute, which share their academic offerings and facilities and providing broad opportunities for enrichment. Holy Cross is also only 45 miles west of Boston and accessible to Providence, Rhode Island as well. The lifestyle at Holy Cross centers on the Jesuit mission, which is described on the website as the “service of faith in which the promotion of justice is a constitutive element, and is expressed in dialogue with other religions and in dialogue with other cultures.” There are on-campus Catholic masses, Protestant services and interfaith offerings. Students can choose a major and a minor. Popular majors include biology, political science, economics, government, English, psychology, foreign languages, and the physical sciences. Interdisciplinary and self-designed minors are encouraged as well. All students must take one theology class and a group of core classes. There are also many opportunities for research and internships at this exclusively undergraduate institution. The College also offers an Honors program called the Fenwick Scholar Program. Holy Cross offers a number of summer study abroad sites for students called “Maymester.” The 4- to 6- week programs, which include one course taken for Holy Cross credit, offer enriching cultural excursions and field trips all over the world. Most class sizes at Holy Cross are between 10 and 19 students, and labs have an average of 10 students as well. The student: professor ratio is 10:1. There is a great deal of attention paid to advising, extra help and resources as well as pre-career advisory committees. The school offers coed dorms, apartments, suites, special housing for disabled students, and substance-free housing. Athletics abound at Holy Cross. The school community has a great deal of “purple” pride, and recently their basketball team was represented in the NCAA. Men and women may choose from over a dozen intercollegiate teams and even more club sports. Holy Cross is a member of the Atlantic Hockey Association (Division I, men), the Eastern College Athletic Conference (Division III, women’s ice hockey) as well as the Patriot League (Eastern Association of Rowing Colleges). 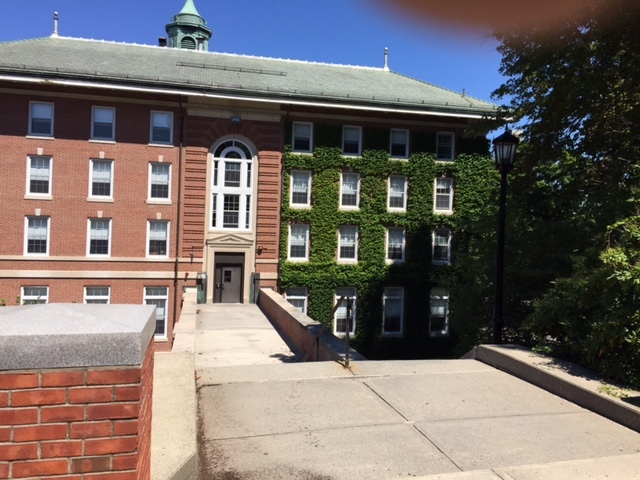 Holy Cross also takes pride in its 100+ outside activities including an active student government, a radio station, and publications including the weekly Crusader, the monthly Fenwick Review and a literary magazine. International and service groups abound, and there are opportunities to engage in campus ministries. With more than 40 public service programs, Student Programs for Urban Development is the largest student organization on campus. According to Ms. Gale, the SPUD program is very special. At least 600 students volunteer to be “men and women for and with others” in the Worcester community by serving meals, working at food pantries, tutoring children and visiting nursing facilities. Holy Cross has a strong alumni network. Famous alumni include political commentator, talk show host, and author Chris Matthews; former United States Secretary of Health, Education, and Welfare Joseph Anthony Califano, Jr; novelist and short story writer Edward Paul Jones; U.S. Poet Laureate William James “Billy” Collins; Associate Justice of the Supreme Court Clarence Thomas, and film, television, and theatre actress Ann Dowd. Two rather colorful alumni were psychologist Timothy Francis Leary and peace activist and former Roman Catholic priest Philip Berrigan. Holy Cross offers Early Decision (December 15) and Regular Decision (January 15). It is one of the few schools that include a personal interview. It is also test-optional. The college promises to meet 100 percent of demonstrated need and gives about 50 percent of its students’ institutional need-based scholarships or grants. 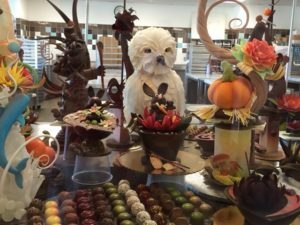 The facilities on the attractive 126-acre sprawling Rhode Island campus are a foodie’s dream, including the magnificent Cuisinart Center for Culinary Excellence. 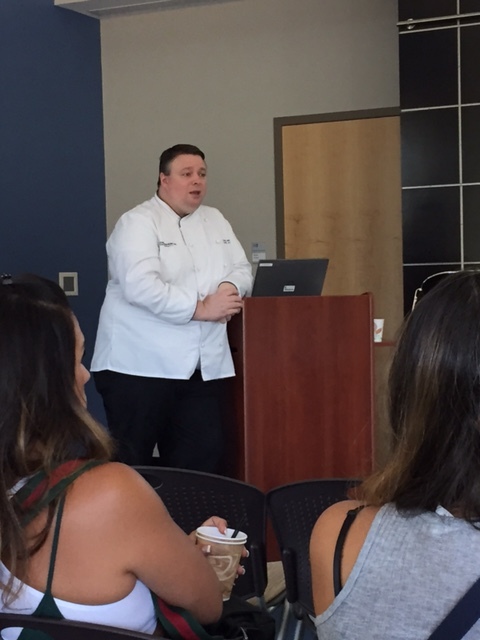 Notable alumni include the world-famous celebrity chef and author Emeril Lagasse, chef and television host Tyler Florence, and celebrity chef and reality television personality Chris Cosentino. Johnson and Wales has expanded its academic offerings dramatically over the years, including programs in business, hospitality, engineering and design, fashion merchandising, culinary arts, criminal justice and the liberal arts. According to Admissions Officer George Malavasic, Johnson and Wales is the world’s largest culinary school, with 3500 students from over 90 countries studying the culinary arts including baking and pastry. 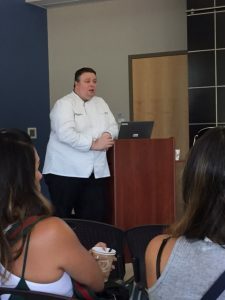 Whereas many culinary programs are non-degree, Johnson and Wales is an accredited institution at which students can achieve an Associate’s degree after the first two years, a BS and even an MBA. The first year at Johnson and Wales is experience-based, focused on cooking and serving; sophomore year is packed with labs that combine artistic creativity with internships as well as a general curriculum with introductory courses in human resources, business, and management. According to Mr. Malavasic, the student-faculty ratio is 24:1, and the school has 49.3 percent of its classes with fewer than 20 students. 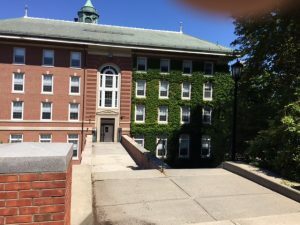 There are currently 88 professors at the Providence campus alone. 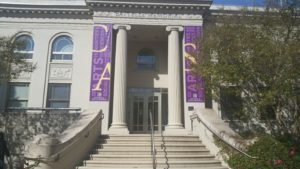 In addition to the world-famous College of Culinary Arts, Johnson and Wales has a College of Arts and Sciences with a School of Science & Liberal Arts and School of Professional Studies as well as a School of Engineering & Design, College of Health and Wellness, College of Management – School of Business and School of Hospitality, a Center for Physician Assistant Studies as well as Graduate Studies. There is also an online school. Popular majors include Foodservice Systems Administration/Management; Parks, Recreation and Leisure Facilities Management; General, Hotel/Motel Administration/Management; Business Administration and Management, General and Culinary Arts/Chef Training. The school also offers an accelerated degree program known as the “4+1.” According to Mr. Malavasic, students who complete three years of undergraduate study with a minimum 3.0 GPA may take three complimentary graduate courses in their senior year. If they successfully complete these courses, there are nine remaining graduate classes in the MBA program that may be completed in one year of study. There are some prerequisites that must be met, including courses in Micro and Macroeconomics and accounting, so not every undergraduate major will qualify. “I encourage students who are interested to select a business-related undergraduate major or use their elective courses to take the prerequisites,” advised Mr. Malavasic. The Harborside campus, which is set right next to Narragansett Bay, is completely smoke-free. The Cuisinart Center is spectacular and worth a tour on its own. It houses the Coors Brewing Laboratory and the International Baking & Pastry Institute with hot and cold kitchens, bakeshops and pastry shops, dining rooms, meat-cutting and meat processing rooms, receiving and storeroom, an oenology and beverage service laboratory, and culinary purchasing offices. The labs offer state of the art technology including laser screen ovens, and there is an 18:1 student: professor cap in the kitchens. The academic program adheres to a trimester schedule over the standard academic year which begins in September and ends in May. There are three 11-week terms within that interval with breaks between the last week of November and the first week of December, in the middle of the winter term and between the last week of February and the first week of March. Students must complete a one-semester internship: They can travel anywhere in the world, experience working with a new and exciting cuisine, and get a grade! The summer is traditionally an off-term, but some students do elect to complete the study abroad program or internship at this time and thereby accelerate their graduation date, according to Mr. Malavasic. Many famous professionals are proud alumni eager to help the students get a start in the business by coming to speak at the campus and offering exciting internship opportunities. Job opportunities abound upon graduation from Johnson and Wales: There is a great deal of corporate sponsorship and tremendous opportunities for job placement. Over 300 companies come to campus to conduct interviews. The Providence campus stands out with its beautiful athletic fields and an excellent state-of-the-art gym and training facility; there are lots of opportunities to cheer on Division 3 Wildcats and to participate in lots of clubs. There is also a Downcity campus which gives students a chance to experience living and especially dining in Providence, which is one of the best cities for foodies, with over 300 restaurants, according to Travel and Leisure. Johnson and Wales is on the Common App, is test optional and offers rolling admissions. Providence Campus: 8 Abbott Park Place, Providence, RI 02903. 800-342-5598. There are also campuses in Charlotte, North Miami and Denver. Information sessions and guided tours are recommended, and they are well worth the trip! Next stop: College of the Holy Cross! 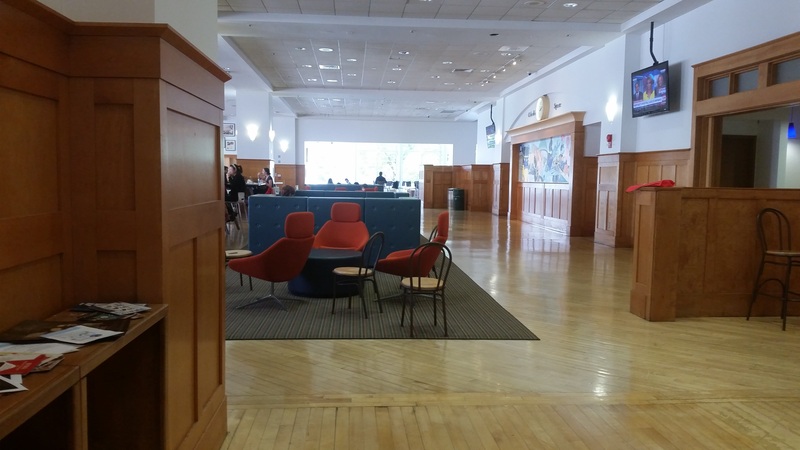 On a beautiful sunny afternoon I entered the inviting lobby of the admissions office of Clark University, a small and unique liberal arts school in Worcester, Massachusetts. Greeted enthusiastically by students at the front desk, I received a very professional welcome packet and cordial offers of coffee or tea. I sat down on a comfy couch facing a coffee table with an assortment of recent Clark yearbooks. Just a few minutes later, one of the student leaders sat down, introduced herself, and gave us the opportunity to ask questions before the information session started. I could see the relief in the eyes of parents and potential applicants alike as she engaged them in cheerful and charming conversation. 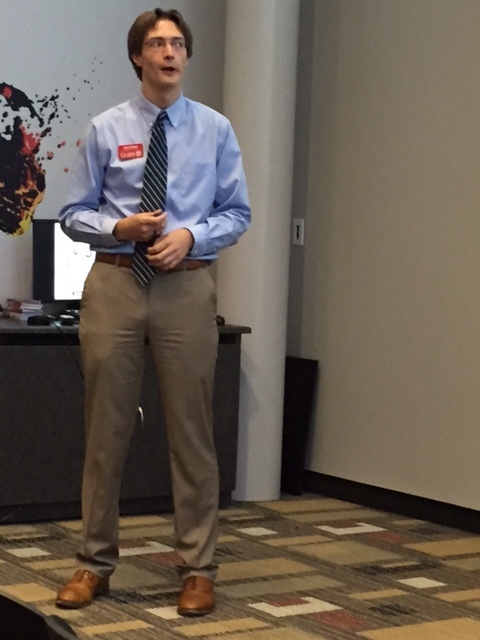 The information session was conducted by admissions officer Tristan Deveney and Anthony, a rising senior. Although the wealth of information was presented at a pace that was a bit of a challenge to follow, the accompanying PowerPoint was very helpful. The engaging presentation was followed by a panel of students of diverse background and interests. The combination of earnestness and humor among these well-informed students was impressive. Clark’s ambience is supportive, down to earth, and decidedly liberal, and the panel members agreed that cliques are at a minimum. It is clearly meant for students who are somewhat independent, seeking new dimensions in their interests, and hoping to graduate with a passion combined with knowledge, skills and a career or future study direction. The school is relatively small, with approximately 2200 students, 1000 of whom are graduate students. Also, 15-20 percent of the students are international. Students must live on campus for the first two years. It’s important to know that Worcester’s winters are very snowy – It even gets more snow than Boston. Clark is most definitely a liberal arts school that offers some unique advantages. The FYI (First Year Intensive and Advising) arranges groups of 15 students in a program that combines writing and an orientation. Each group has a professor who becomes the students’ adviser. That is very comforting as students ease into their freshman year. Clark professors are also well known for being accessible and encouraging. The Program of Liberal Studies offers a balance between structure and flexibility with diverse courses that focus on content plus critical thinking and analysis. Students do not declare a major until sophomore year. Psychology is by far the most popular major. Clark also features its LEEP program (Liberal Education and Effective Practice). It is an interesting combination of self-management skills and creativity blended with the coursework. The LEEP Culminating Capstone allows students to choose a project to study with a $4500 stipend. The emphasis on practical learning is fascinating. Clarkies can partner with community members in their field so that they can put what they learn into practice. Community engagement is very much a part of their lives. It also offers the option of taking classes in a dozen local colleges and universities in a Consortium that allows one class per semester in another school along with access to libraries and clubs in all the schools. Clarkies may take classes at Anna Maria College, Assumption College, Becker College, College of the Holy Cross, Cummings School of Veterinary Medicine, Massachusetts College of Pharmacy and Health Sciences, Nichols College, Quinsigamond Community College, University of Massachusetts Medical School, Worcester Polytechnic Institute, and Worcester State University. Many students find the appeal of the master’s program to be a strong draw: If you maintain a 3.4 GPA or higher from sophomore to senior year, you may be able to attend a master’s program from May of your senior year until the end of the fifth year free of charge. According to Clark’s statistics, 97% of its graduates are employed or in grad school within 6 months of graduation. 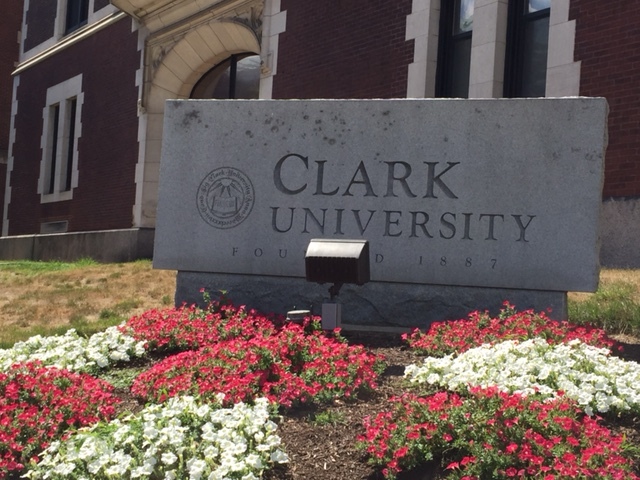 Located at 950 Main Street, Worcester MA 01610, Clark offers Early Decision and Early Action and is test-optional. Next stop: Johnson and Wales! Tour Along with College Essay Whiz! As high school seniors begin the hunt for the perfect college, it would be wonderful to take a few weeks off and travel all over the country to visit campuses from coast to coast. Many families do make an effort to go on some tours and information sessions, but if your choices range from UCLA to Wisconsin and Emory, it becomes a physical, emotional and financial impossibility. There are other ways to get a feel for the schools to which you plan to apply. There is a great deal of information on the universities’ websites and in guidebooks we recommend. You should also reach out to current college students and graduates among family and friends. 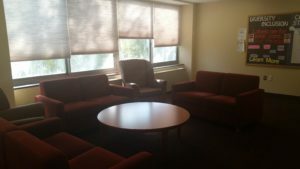 There are some new and exciting start-up services offered by college students which connect applicants with current college students for a phone or Skype Q and A. Campus Sherpa and Campus Owl are definitely worth a look! 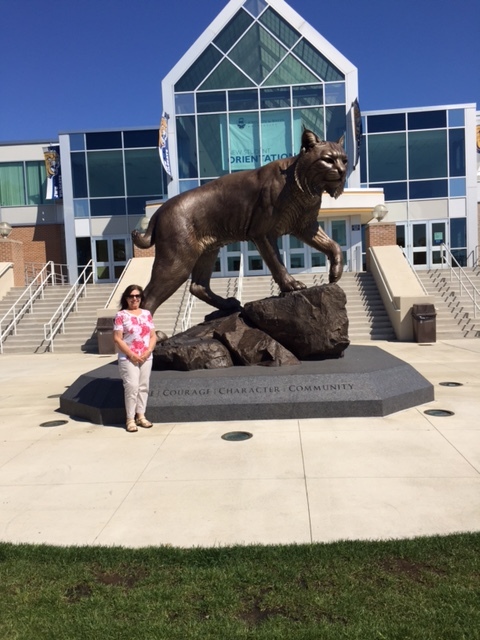 College Essay Whiz invites you to take advantage of another resource: Our own reviews of campuses that we have recently toured ourselves! Over the next few weeks, we will highlight our experiences at colleges and universities at all different locations, with fascinating features and little known facts! Join us as we take you on our own virtual tours! According to Peterson’s Guide, visiting a college campus is a vital way to get the “pulse” of a school in which you are interested. I just took the campus tour and I really like this school. My name’s Margie. Do you think you could answer a few questions about your school? What’s good to order here? This is a beautiful campus. What’s it like in the middle of winter? Is there a Starbucks or Dunkin’ Donuts nearby? What a bulletin board! How do you decide what to get involved in here? I love your shoes. Is it easy to get around this campus? Great hat! Can you tell me where the school store is? I hope I’m not interrupting you, but I’m really interested in this school. Could I ask you a few things?